As I told you I plan to release the majority of the art assets from our action platformer »Glow« under a Creative Commons license. I'm proud to present the first two assets: a series of high-res wallpaper images I created in 2007, as well as all images ever published in the Glow 1.666 developers weblog. 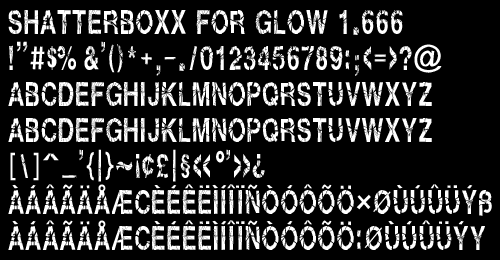 I will collect everything related to Glow on an overview page in the games section of my website. How to disable the thumbnail generation for video and PDF files in Ubuntus file manager? I did it. I updated my very own hand-crafted blog software to support custom URLs for the individual entries. I'm currently cleaning up the backend code of this weblog, to be able to finally switch this site to HTML 5 and UTF-8. Some of the PHP code I found dates back to 2001. Some files still relied on register_globals, which I disabled years ago. But the most interesting detail I found is a repeating pattern of code in which I used flock wrong for years and years. It's 2016. What happened to »Glow«?